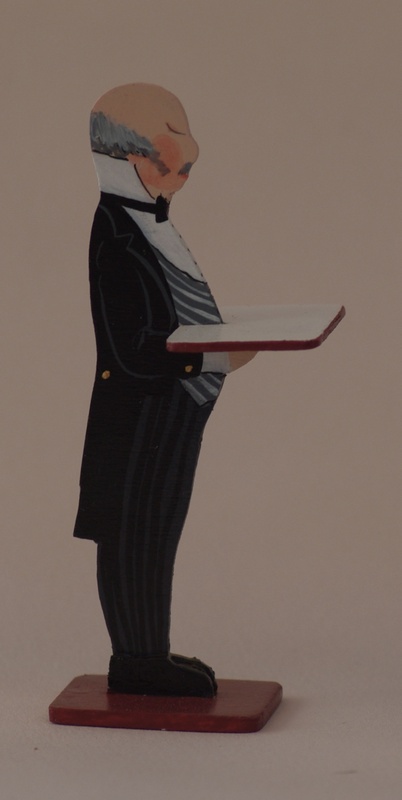 The corsets come in most colors. This one is white with peach trim. E-mail for further options. 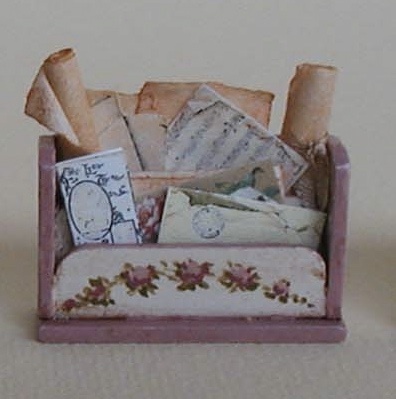 This rack is filled with maps, parchment rolls, letters, drawings, time line- could be any. 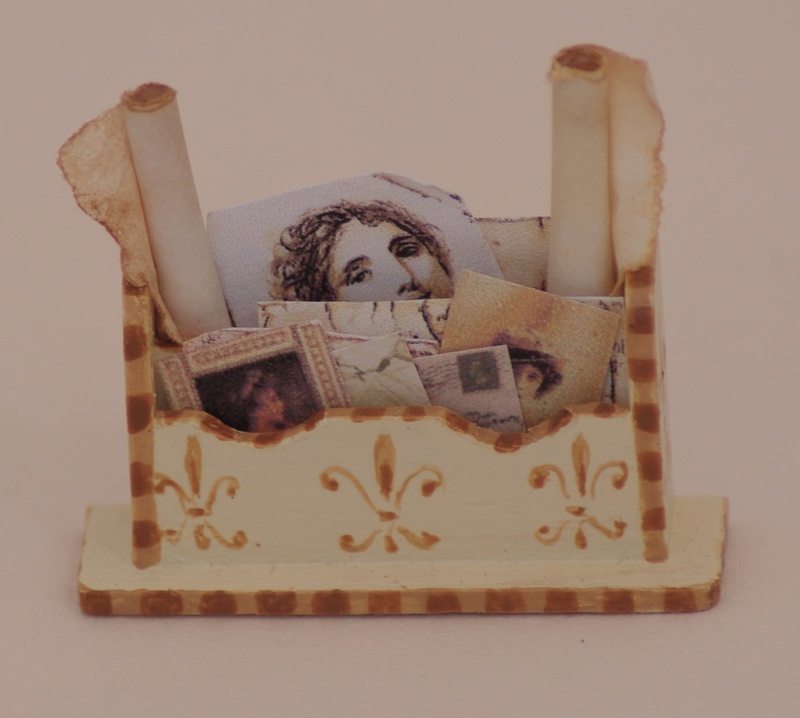 Filled with an assortment of letters, envelopes, postcards, photo's mostly on a Victorian theme. 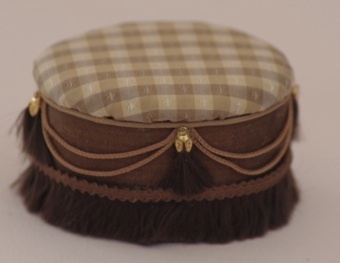 Main colors are beige with brown trim. 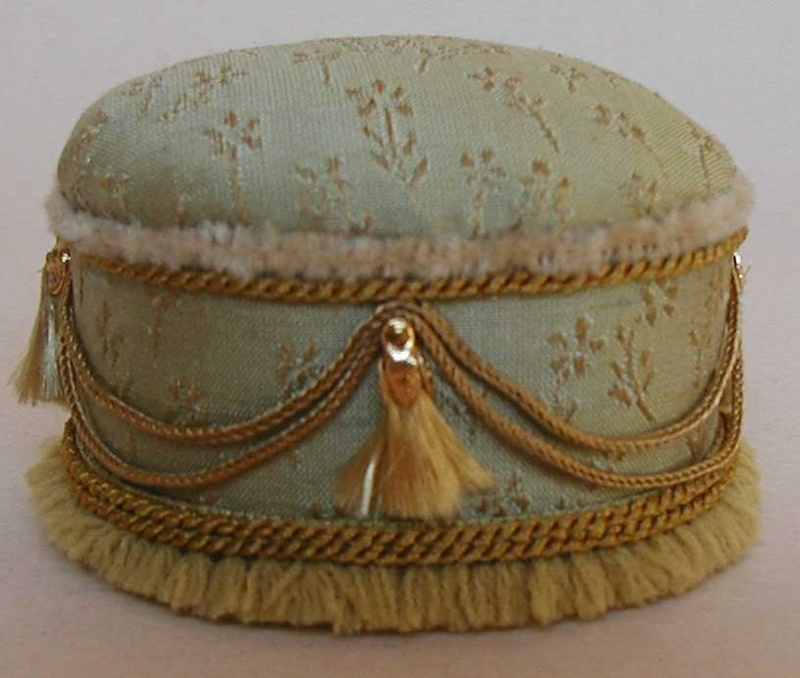 A lovely fabric that has little gold flowers woven in it. The trim is gold or beige to match. 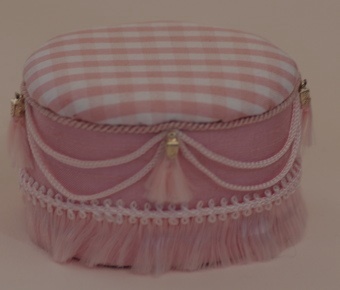 I just love making these tuffets, they can come in a variety of colors. 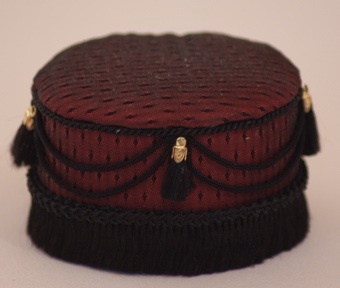 A deep red version of the tuffet, this one with black trim. The corset in actually made on the dress dummy which comes from the UK. Colors may vary. Made to go with the maid server, may vary slightly from the picture. 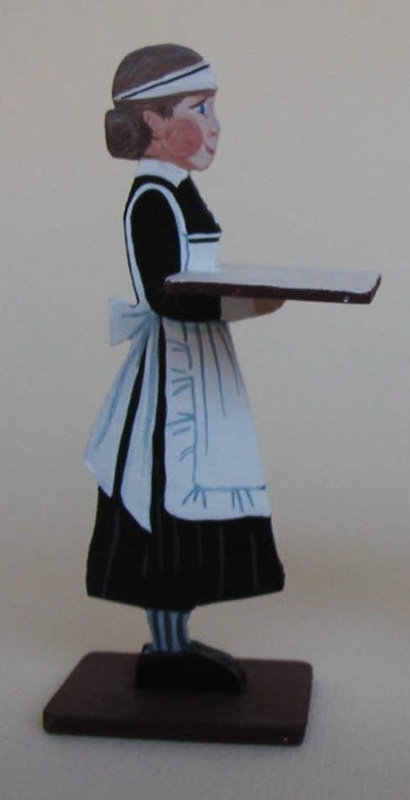 Hand painted maid server, because they are each hand painted they may vary slightly.